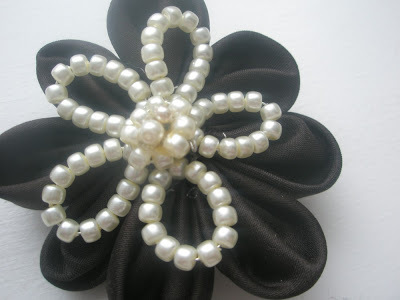 This is a really fun flower with the added beauty of beads! 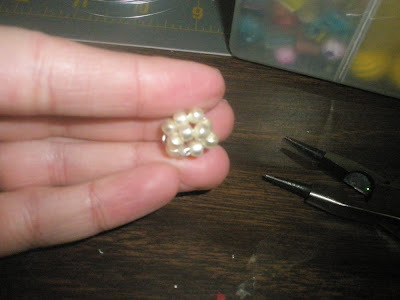 For the beaded flower take some small beads (I used about 3 mm size) and some really pliable wire. 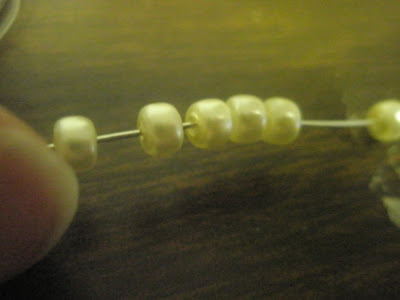 I am not sure what gauge it is but it is small enough to fit in the small holes of the beads. 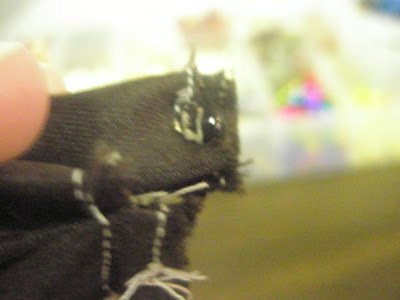 Now bead another section. 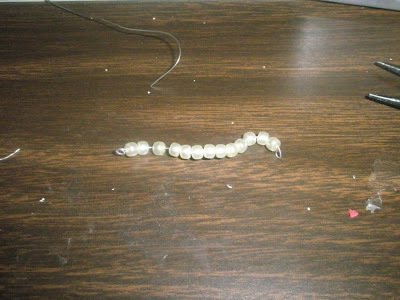 I twisted the ends a little bit so that the beads would not fall off. 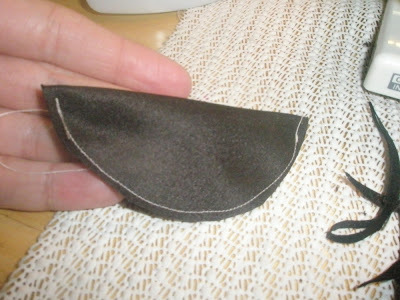 Twist this section into a small circle. 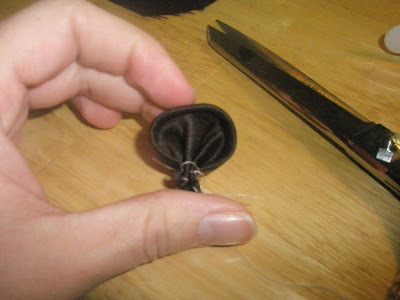 Now you can assemble the flower now or wait to assemble ontop of your fabric flower. 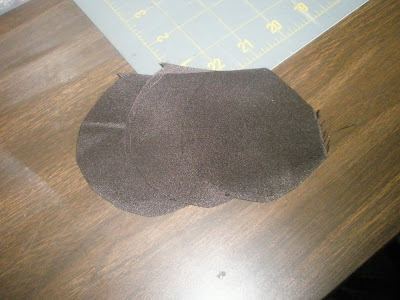 Fold over the circle and sew it down. 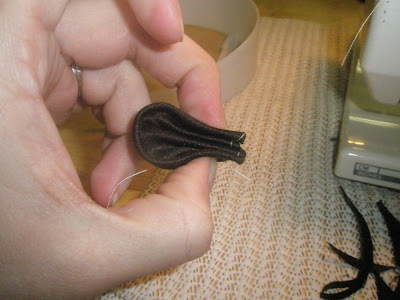 I used white thread so you could see it better and you can't see it on the finished flower. 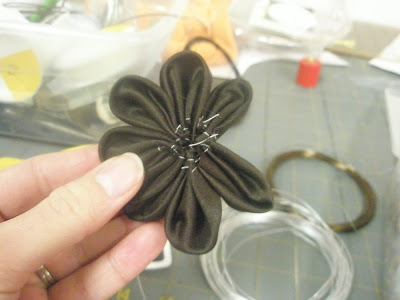 Put some hot glue in the middle of the fabric flower and add the beaded petals. 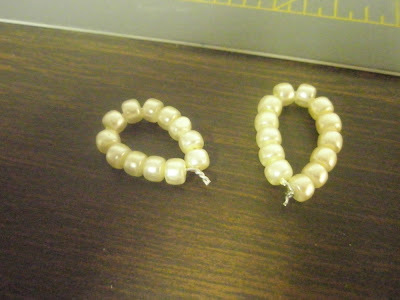 Then glue the circle beads onto the middle. 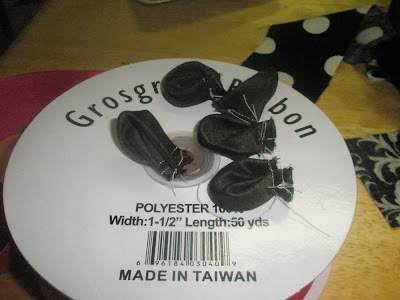 Now you have your fabric flower. 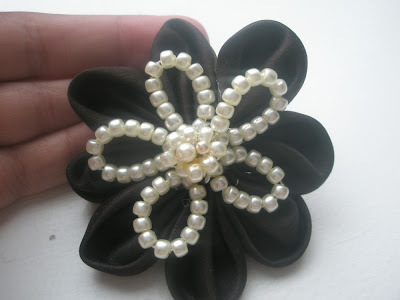 You can add a hair clip to it or a pin or just sew/glue it onto clothing. Very nice. 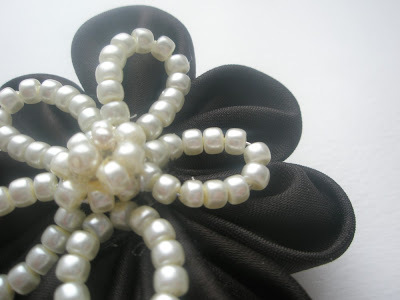 I love the beads added to the flower, nice twist. Very cute! I love the beads! what a great looking flower! looks like it took a lot of work, but it was worth it! love the beads on the flowers! Those are lovely and look like they need a lot of patience to make. Nicely done. Beautiful! Thanks for sharing the DIY tutorial. Very helpful! That looks totally awesome! Great job, I especially love the beaded flower it really adds some bling! 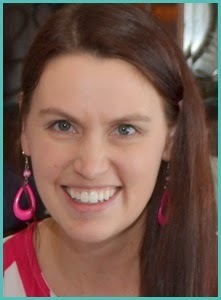 excited to look over much of your writing, regards! Thanks for the tutorial for making these flowers. So cute! Link it up to Mad Skills Monday over at SuperStinkyBoys! Beautiful! I really want to try this. This is super cute! I want to try and make one. 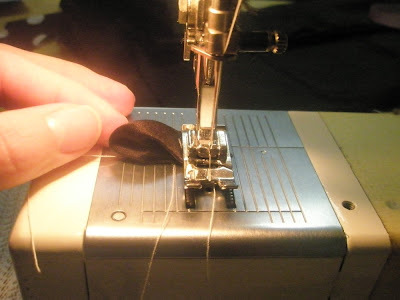 What kind of fabric did you use? Just cotton? You can email me at (mandiamarshall@yahoo.com)Thanks! you're so nice sharing the tutorial. thank you.